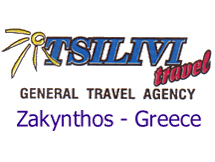 Tsilivi Travel is a large business that strives to make your stay in Zakynthos interesting and exciting. We specialize in a friendly customer service and are fluent in English making us the number one choice for help and advice throughout your stay. With our long list of special services we can help you with everything from accommodation to weddings! Discover the beauty of this island by booking one of our fantastic trips. We have many excursions to cater for everyone's needs. All our tours are reasonably priced and are fully insured. They can be taken by our air-conditioned coaches or by our boats. We are also exclusive agents in Tsilivi for ZAKFARI, which is an alternative tour of the island taken off road in our Land Rover four wheel drive jeeps. If you prefer to explore the island by yourselves we will be happy to provide you with car rental at competitive prices with insurance. We can supply you with a map of the island and tips on where to go and what to see.